The freedom of interchangeability. 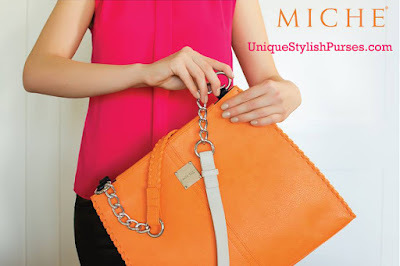 Create your own custom look with Miche this summer. Go bold! Nancy for Prima Miche bags is truly a statement piece! A structured silhouette pairs perfectly with textured faux leather in a vibrant, juicy shade of mango.